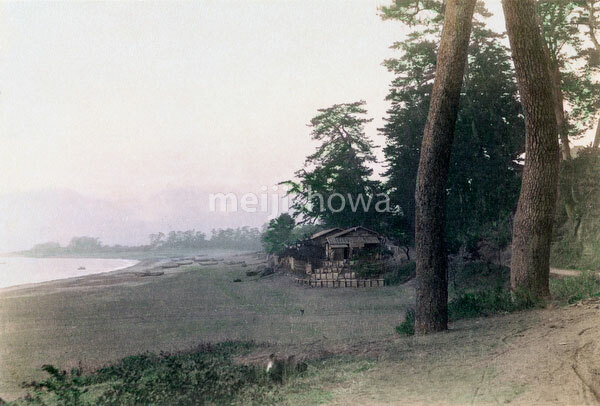 A beach along the Tokaido at Kozu in Kanagawa prefecture. The Tokaido was the highway leading from Edo (Tokyo) to Kyoto. Kozu lay between the juku (stops on the highway) of Odawara and Oiso.